Home › Investigation › Social Media — The Possibilities Are Endless! 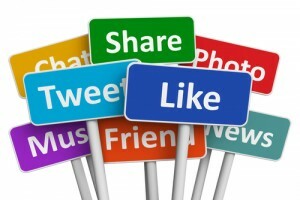 Social Media — The Possibilities Are Endless! Facebook. Instagram. YouTube. Twitter. LinkedIn. SnapChat. Flickr. Google+. Tumblr. WeChat. MySpace. WhatsApp. Reddit. The list of social media and networking sites goes on and on. It’s fairly common knowledge these days that a defendant can use social media and networking sites such as those to investigate personal injury claimants. In addition, more and more companies are using these types of sources to research potential employees. You may be surprised to learn, however, that social media can be an extremely useful tool for the investigation of property damage and business interruption losses. An insured submits a claim for damage to a roof, asserting that it was the result of a recent storm. However, using the “Historical Imagery” capability of Google Earth (which allows you to see images from years ago), you learn that the damage to the roof pre-dated the storm. An insured’s home is completely destroyed by fire, and the policyholder submits a list of contents. Photographs taken inside the insured’s home during the holidays and at parties (taken or posted by either the insured herself or by her friends and family) prove that the actual contents of the residence are considerably different than what she has alleged (e.g., there was a 47” flatscreen, not an 80” one). An insured businessowner submits a claim for business interruption after his store is destroyed in an earthquake. However, by tracking the insured’s Twitter, Google +, and Facebook statuses, posts and comments, you learn that the insured started selling his products on-line shortly after the quake and has been steadily making half the amount of money he made with over-the-counter sales before the structure was leveled. Using social media, one can find: (1) photos and videos which indicate the condition of real or personal property at a finite point in time; (2) photos and videos of a loss as it is occurring; and (3) people’s statements regarding both the loss itself and also what caused it to occur. You can then use that information to identify facts otherwise unknown, determine or depict the severity of a loss (e.g., a video of a windstorm as it is occurring is a lot more illustrative and powerful than someone’s version of what happened), detect fraud, provide visuals for use during a deposition or at trial, establish the pre-loss condition of a property, investigate or even determine causation (e.g., a video taken of a fire as it is occurring might demonstrate the point of origin or show how the fire spread), create a timeline of events, identify potential witnesses, identify other potential sources of information (e.g., a video that someone posts on YouTube of a gas explosion clearly shows that numerous other bystanders are also filming the explosion on their phones, allowing you to continue to search the internet to see if those bystanders uploaded the videos they took), or find admissions which are contrary to allegations (believe it or not, people will say the dumbest things via a Tweet or a Facebook status update!). The possibilities are virtually endless! The search capability residing in social media is enormous. For some folks, half the battle is simply knowing where to look and how to look. For a more comprehensive discussion of the available search social media and networking sites, as well as some ideas for how to navigate them, please check out the Power Point Presentation that I recently presented at the 2014 PLRB Claims Conference in Indiana by clicking here. Save what you find. Just as content goes up quickly, it comes down quickly. Sometimes users pull the content themselves (“hmm, perhaps I shouldn’t have posted that Facebook status about ‘milking my insurance company for all it’s worth’….”), and sometimes other users or the social networking site itself flag the content as inappropriate and remove it. Not only should you save what you find, but it’s important to save it in some fashion that documents when and where you found it (e.g., a screen shot or “snip” of your computer screen which includes the date and time). Dig, dig, dig. Sometimes, you really have to dig for hours before you find anything useful. And, of course, sometimes you’ll dig for hours and you still won’t find anything useful… but it’s definitely worth a shot.